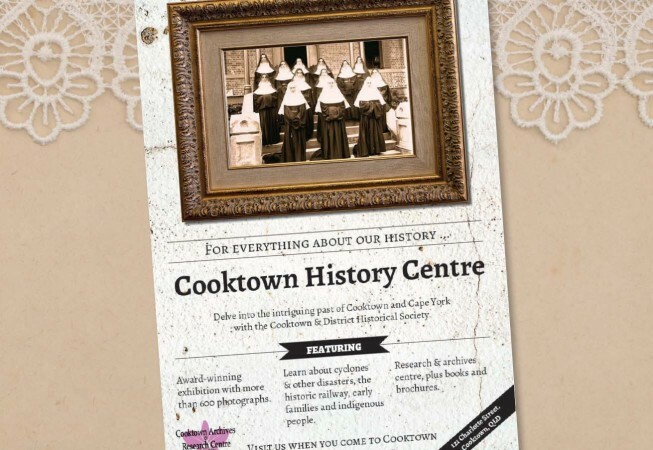 Poster promoting the Cooktown History Centre in Far North Queensland. Find out about Full Stop’s poster design services here. 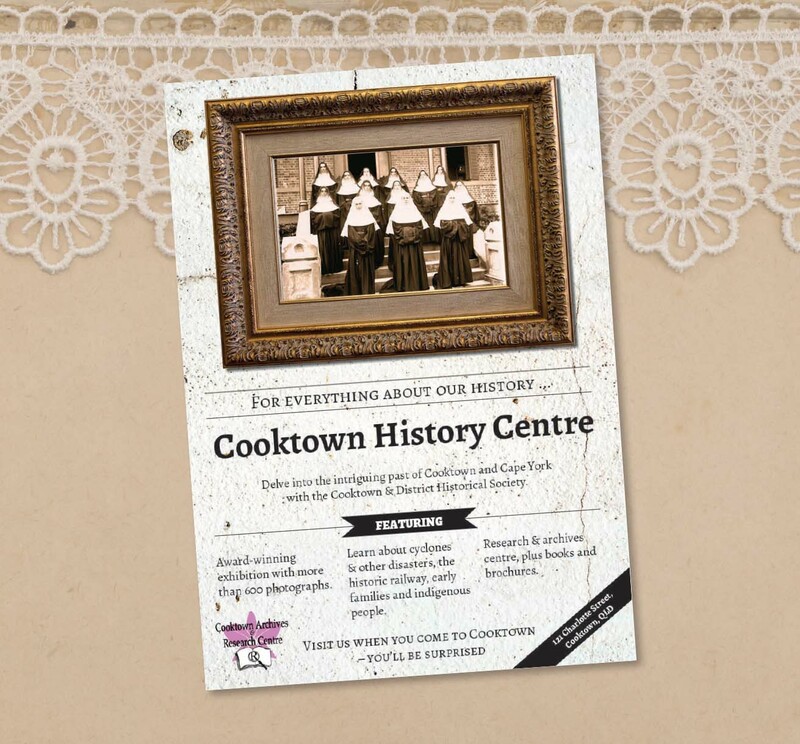 Read the Cooktown History Centre’s testimonial here.